Using Veritas Bible Children will love it. Parents will be amazed. See for yourself. Try it FREE. No Credit Card Required. Covering 32 events in the books of Genesis through Joshua, students will learn the Bible from Creation through Joshua’s Last Words. Clever interactions and striking video have children join Abigail and Asher, her brother, along with animated characters Teb, an aloof cat, and Tizzy, a pesky gnat. They will keep the student engaged the entire year. Covering 32 events out of the books of Matthew, Mark, Luke, and John, students will learn of Christ’s birth through His crucifixion. Informative dialog, interactions and games have children join Benjamin, a carpenter, and his young ever-inquisitive apprentice, Jude, along with Spyro, a dove with an erudite sensibility, and Uz, an overbearing, yet insecure termite. Laughing and learning, children will be engaged the whole year. 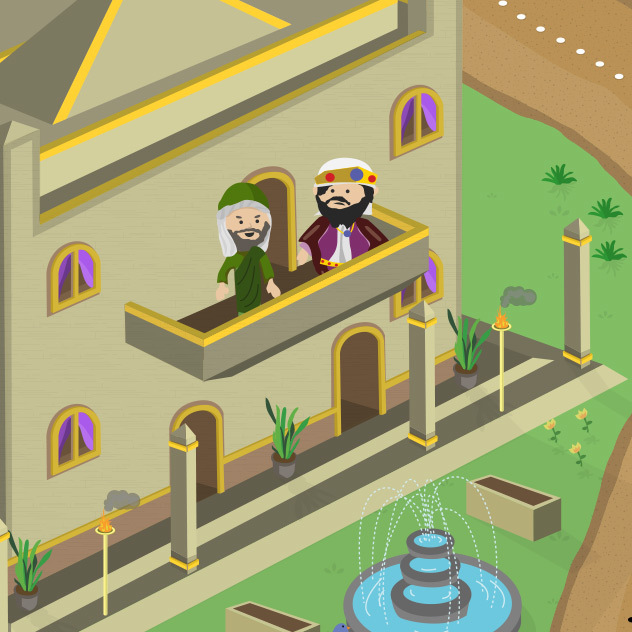 Covering 32 events from the books of Judges through Second Kings, students will learn about the early years of the people of Israel to the exile to Babylon. 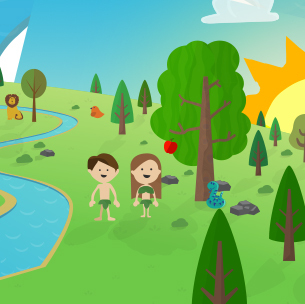 Through engaging video, games and interactions, children follow young Levi, whose harebrained inventions often don’t turn out the way he expects, along with his family and friends, like Vasko the frog and Pallu the lovable badger. 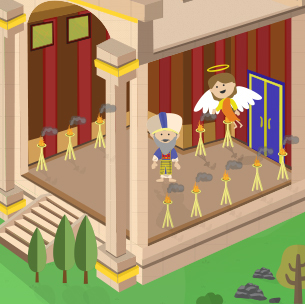 Bible teaching through beautifully illustrated stories, lessons, and games.